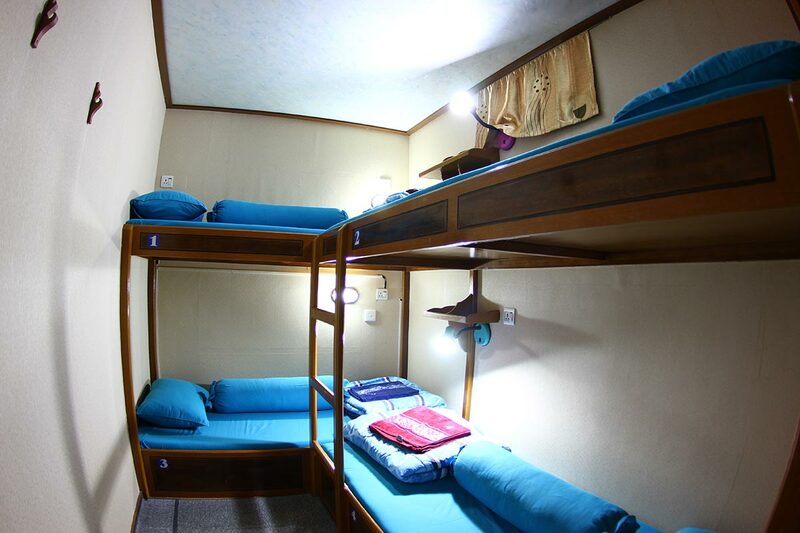 With a large external deck, robust finish, neat layout and facilities, Moon Palikir is definitely the place to be if you are looking for a boat trip with all the comfort of being in a hotel. 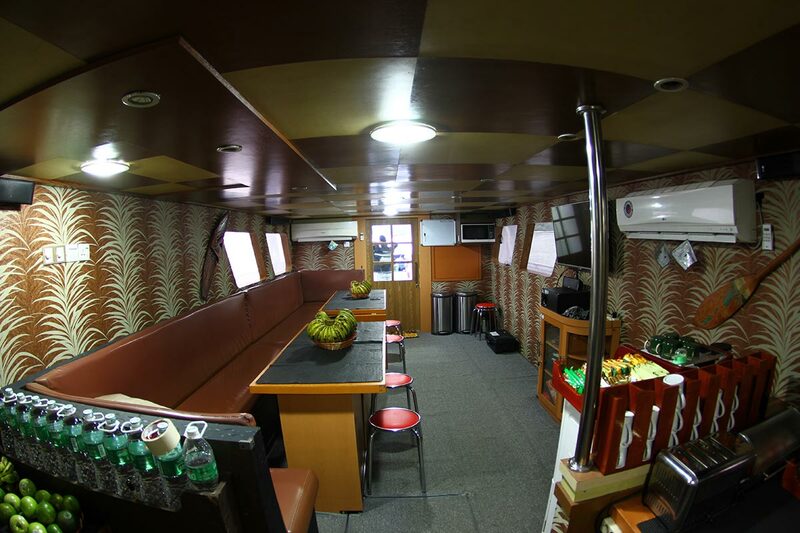 The boat interior offers all the comfort you need with air-con main room and cabins. 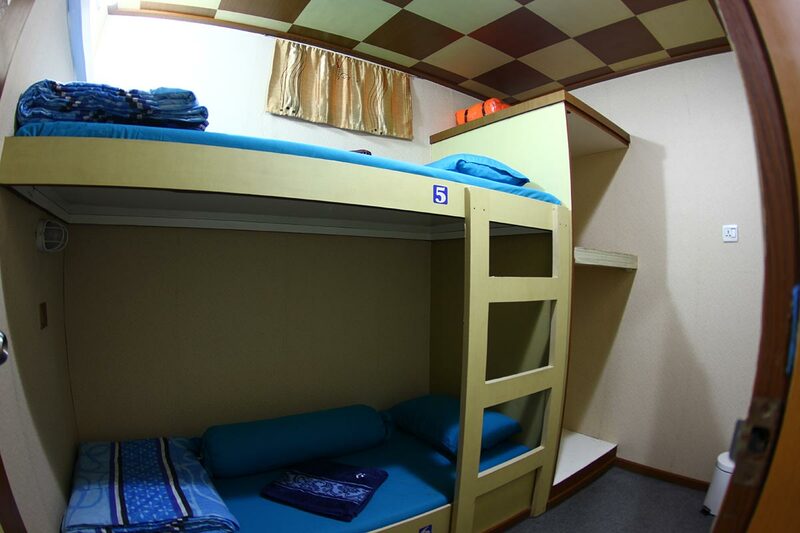 The amount of space and sleeping arrangements is a welcome break from the dorm style accommodation adopted by many vessels operating in the region. Kicking back after a surf does not get any better. 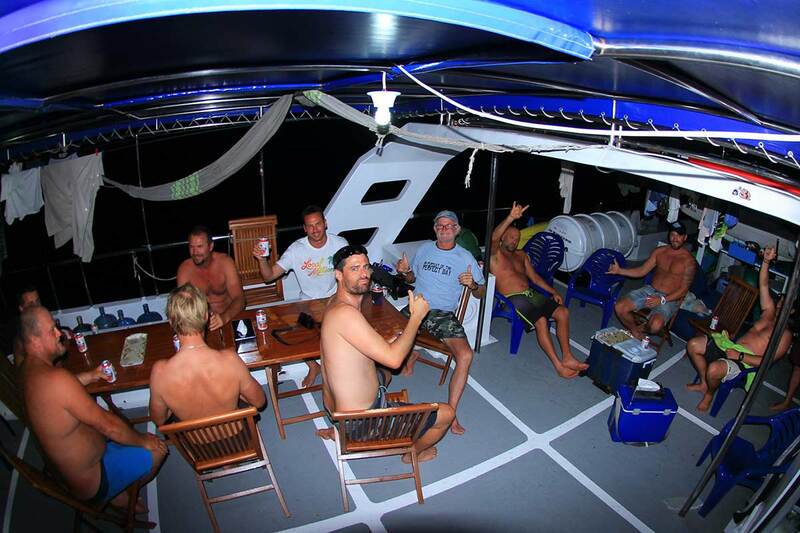 Imagine you and your mates watching the day’s events on wide-screen, guzzling your quota of beer, feasting on a guaranteed chef made meal before chilling out on a beanbag to talk about where to surf the next day. 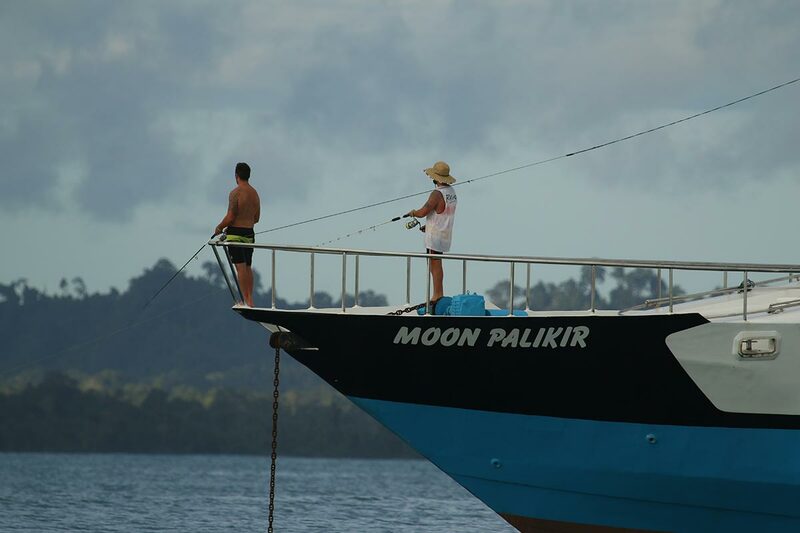 The whole archipelago of Mentawai and Telo is with-in reach during your stay on Moon Palikir. 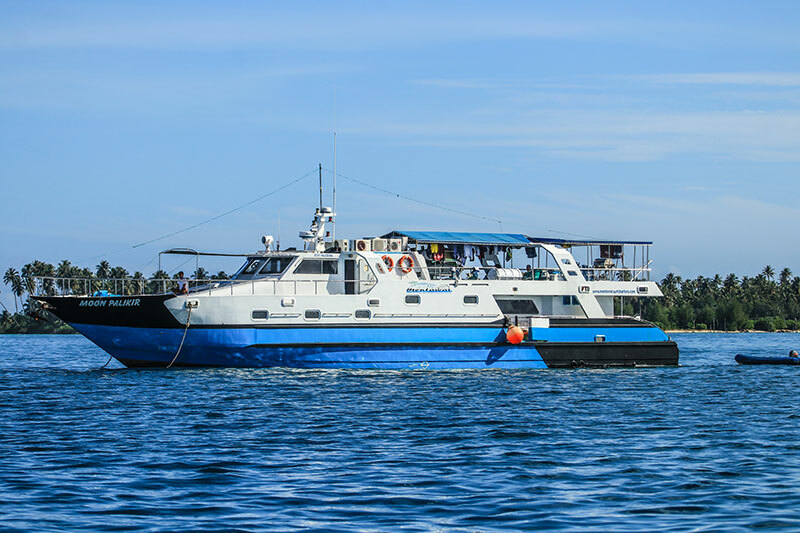 Whether it be a ‘hot insertion’ drop-off by one of the two tender boats into a pumping line-up or trawling for a big fish there is always the comfort of the boat to come back to. The nippy tender boats are also on standby to assist surfers in case they require any help or even just a board/beer-change. One of the most consistent surf destinations in the world. 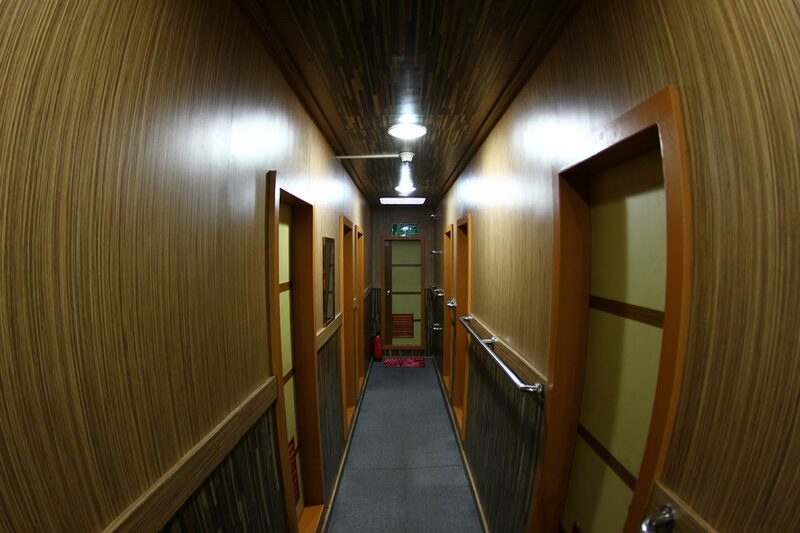 An unspoilt location with superb waves. Surf unexplored waves in a amazing scenario. 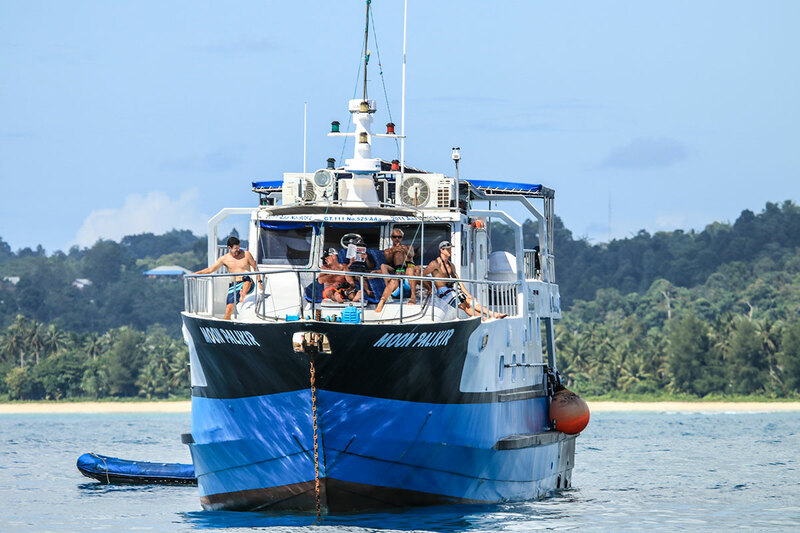 The perfect boat for an unforgettable surftrip around the Mentawais and Telo. 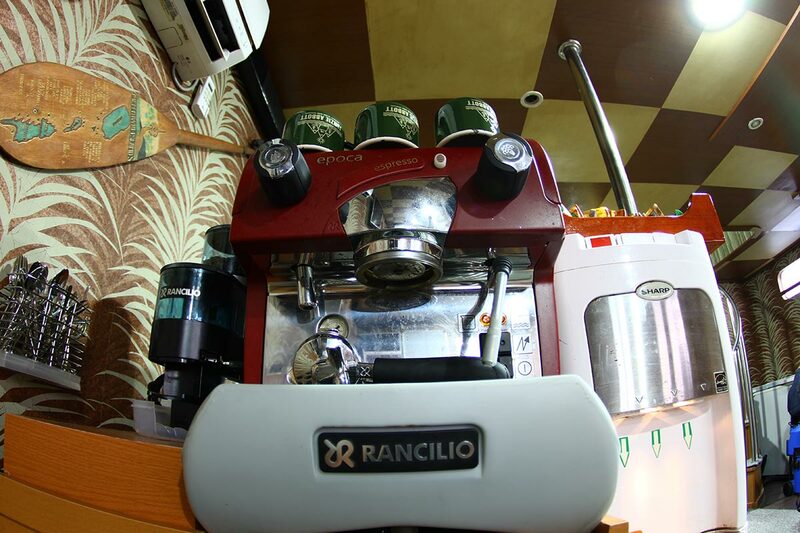 Are you a boat aficionado? 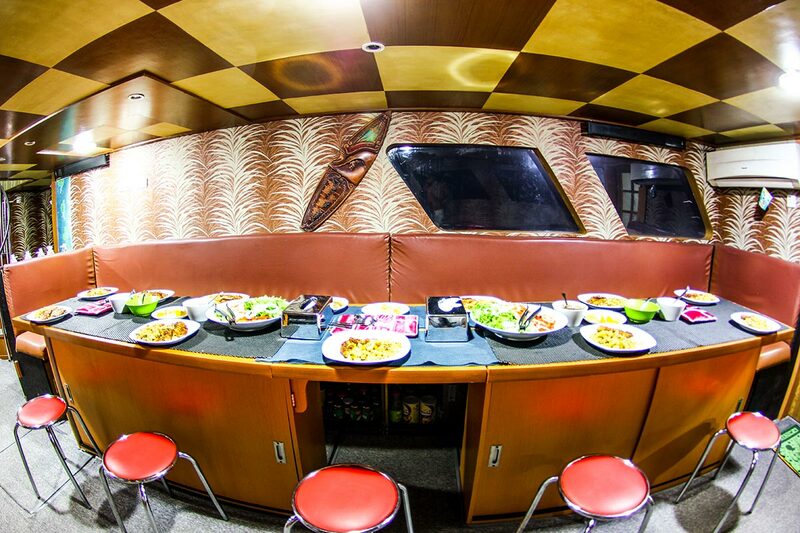 Check all Moon Palikir boat specs here and get to know your ride. 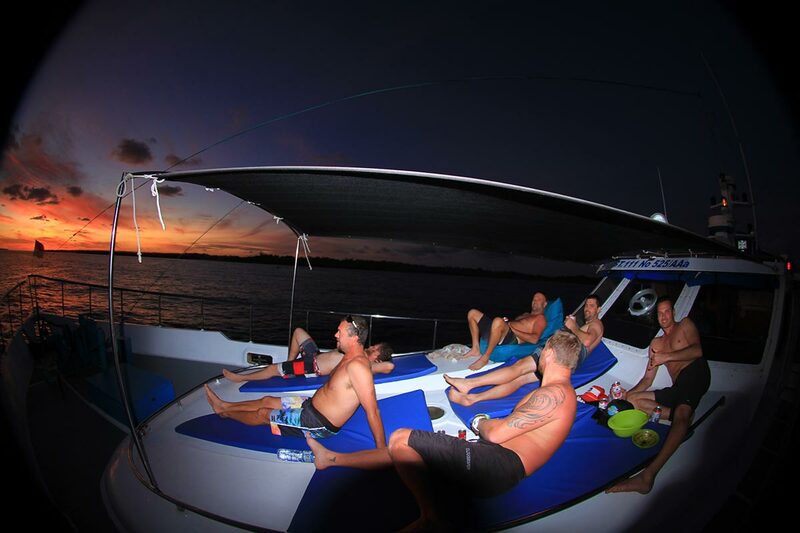 A boat designed to fit you and your mates in great comfort and style.